911uk.com - Porsche Forum : View topic - Finally, IMS, is this the answer and ultimate closure. 911uk.com Forum Index > 996 (1997 - 2005) > Finally, IMS, is this the answer and ultimate closure. On the basis I would to prefer an old and presumably worn (possibly critically) IMSB to be replaced with a new IMSB, I would strip both seals prior to fitting (it makes no sense not to). In terms of the space behind the IMSB, every extra bit of "headroom" would improve the prospects of genuine turbulent IMSB wash. If time was of the essence, then yes, only pulling the outer seal is better than pulling no seals! If the non-specialist press can get it right, why can't the Porsche press get it right? I've been away from Porsche for a while but the car still waits patiently for use and attention. That time has now arrived. My IMS bearing was inspected when my clutch was done @ 15 - 20k miles ago (cars on 85k now) when the IMS cover was changed. The local and trusted Indie said it was fine. After reading this thread end to end - and I did, sort of puts things into perspective mostly the input from Baz. My view is if it reaches 100K then anything after that is a bonus and a rebuild is due anyway due to natural wear and tear. No guesses for where I would have the unit rebuilt. Baz's statement should go down in Porsche history. It's been a few years since I drove the car, now where's the rear window washer switch? So its going to blow up or not ? How much to get a independent to pull off front dust cover ? If its a manual wait till you have a clutch change. Should only be an hour or so on top. While this thread has been resurrected I thought it a good place to mention something I saw over the weekend on the Porsche stand at the Festival of Porsche. Among all the Drivers Selection clothing and usual tat, they had a short engine M96 on show, I was obviously curious as this is my kind of thing. When looking at the IMSB I noticed that this genuine supplied short block had some kind of uprated IMS. 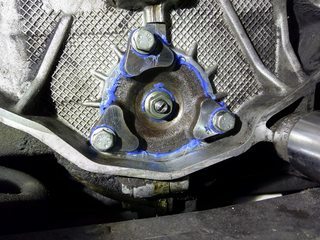 The bearing post is the same thicker type as the Hartech one that is in mine and the nut, that was fairly basic before is now a lot larger and is a flange nut spreading over most of the bearing cover face. I wonder if this is the larger bearing too? Did you not strip it down and have a look? My car has a 2010 manufactured 3.4 engine, this has the non serviceable style last design IMS so they have incorporate changes into replacement engines. The nut and centre is much larger. The case halves casting is different. But the hole the bearing fits in looks the same size. Looks to me like they decided the centre pin is the thing that needed beefing up. A bearing with a larger centre with the same size outer means the balls are smaller. The bearing doesn't fit through the hole on the final design. Hence why the engine has to be split to fit one. Think someone posted a while back that all 'new' 996 engines (including the short blocks) had the revised design in. The thicker centre pin is something I have had in mine for around 5 years, fitted by Hartech and the IMS cover hole is the same diameter for both but the thinner bearing post is only thinner where it has the waisted section for the O ring and the threads, this is also the weak point of the original design. The centre of the bearing stays the same diameter ie you can use both posts, thinner original and thicker upgrade with the original bearing. With the thicker post you don't have room for an O ring though. If you hear what sounds like metal in a washing machine (think roulette wheel), the end of the post has snapped off with the nut, shut off immediately. I am probably going to change my clutch as my 2019 maintenance schedule to keep the car top notch. I currently drive a 1999 (nov) with 80k miles. What is the current "best in class" consensus replacement for the IMS? Direct oil feed? LN or Flat six or something else? I know well worth doing the RMS at the same time. 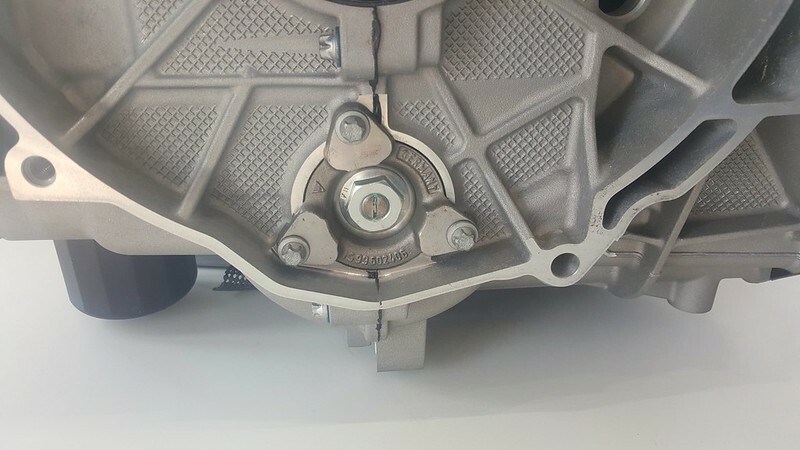 Are people pro-actively looking into flywheel when replacing the clutch? Lastly if I may what is the view on the low temperature thermostat? I have seen my car had the oil separator replaced in 2017 so not needed at this point. I had also read people changing the water pump when doing this bigger service, saves much labour time? The best option on a '99 3.4 C4 is to remove the outer seal from the bearing fitted. You can check if there is any play in the bearing but I doubt there will be. 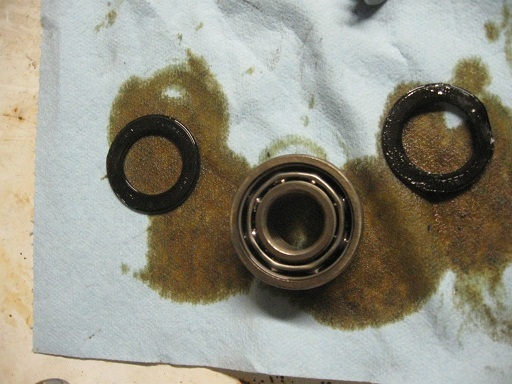 Once the seal is removed, bolt back together, let fresh engine oil lubricate the bearing and forget about it. Any after market alternative bearing that fits your ims is no better than what you currently have.......some may say any after-market is inferior. Leave the RMS alone if it's not leaking........and personally I wouldn't bother with a LTT on a 3.4, only the bigger engines that score bores. 2) Best thing to do with the IMS bearing is leave it in place, flip the outer seal off so a bit of oil can flow through it. The 3.4 has a minuscule failure rate compared to the 3.6's small failure rate. Leave the RMS alone unless leaking. 3) I replaced my flywheel as it was grooved and felt a bit loose but still passed the test. Yours is likely fine at just 80k. 4) LTT is more important for a 3.6 where reduced temps can help stave off bore scoring, a 3.4 is more durable so I think its not necessary. That said it will not do any harm apart from slight increase in fuel consumption - I run one. 5) Water pump is probably a good shout at that mileage if never done before, to save it going at an inconvenient time. At 80k and 20yrs it is an old engine, there loads of things that could go wrong, no point in addressing just the IMS Bearing when the 3.4 has a very very low rate of failure, and there is a risk of damage when replacing it in situ. Check my thread linked in my sig for pics of what is involved for most of this work.